After hearing Emeli Sandé and Labrinth’s version of See Beneath You’re Beautiful Amy decided to write a parody with which to draw attention to the issues of single-use plastic pollution. 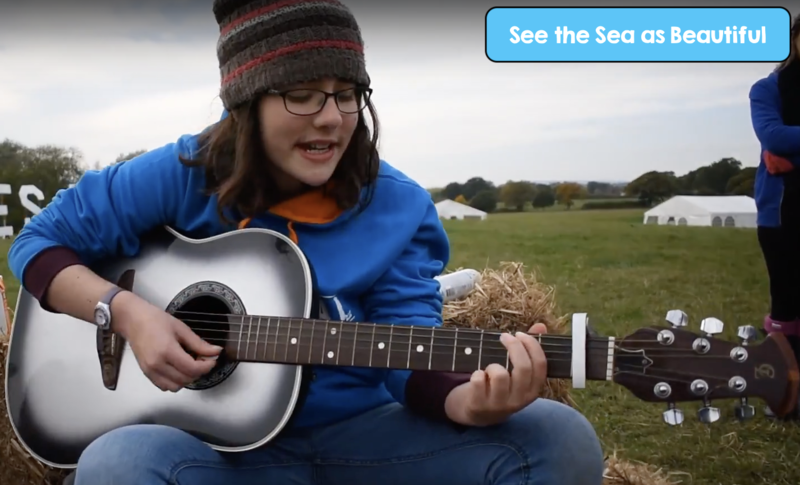 She then performed it – with one or two other parodies on the theme of pollution and the oceans – at a few venues around the UK when her and Ella volunteered as land-based ambassadors for Exxpedition’s Round Britain 2017 plastic voyage. One evening, a member of the audience in a Cardiff cafe came up to Amy after she had performed and very kindly offered some words of encouragement. She said how much she enjoyed the song and that she really liked Amy’s voice. Then, she put her hand in her pocket and gave Amy a handful of cash saying ‘You must record that song – please use this money to help with that’. It was such an amazing gesture and one which took Amy aback. Anyway, over a year later, Amy has recorded the song and is thrilled to be able to share it with everyone, thanks mainly to a very generous act of random kindness (and a welcomed confidence boost) by a lovely person from Cardiff.